We believe in yoga education. And you. We train people to teach yoga; provide teachers with continuing education opportunities; lead public study groups (discussing books, films, events, and enjoying learning-and-doing enrichment workshops); offer talks and presentations; and tutor. 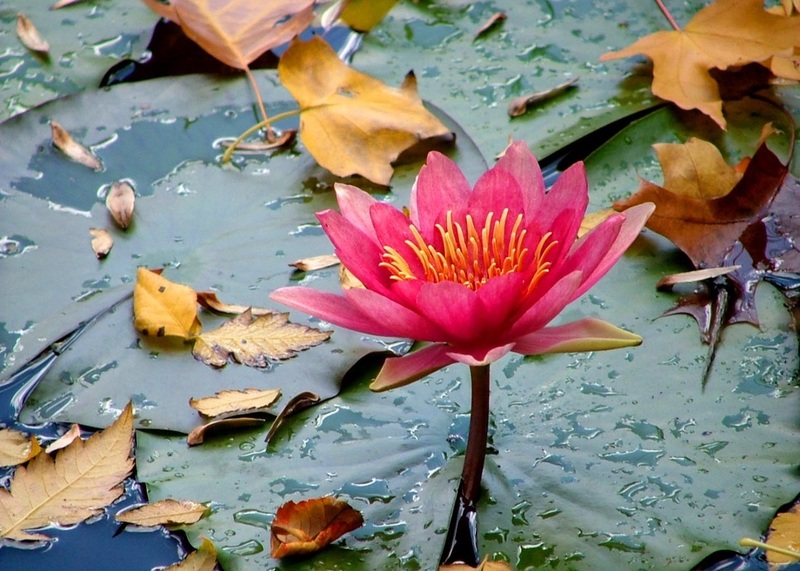 We are The Lotus Pond, an educational limb of Pink Lotus Yoga. ﻿Training: Professional Yoga and Teacher Training and Introduction to Yoga Therapeutics. Offering 200- hour multi-style training program that exceeds standards set by the national yoga registry, Yoga Alliance and includes an introduction to yoga's therapeutic possibilities. Continuing Education: For certified teachers. This program provides in-depth yoga education in styles and systems that are less represented so that teachers realize they have and can easily assimilate yoga practice options. Yoga Studies. Designed for yoga students and teachers who want to learn more about the yoga they practice. Our philosophy is that not everyone who wants to learn more about yoga can or need enroll in a teacher training program. Yoga Studies at The Lotus Pond does not provide CEU credit but follows the format of an informal introduction to the topic followed by a long practice. Yoga Talks and Presentations. We love to talk yoga, not just practice the physical aspects of it, and have a track record that shows it. We have presented on the topics of yoga history, philosophy, benefits, and trends at PR Newswire; The College Club of Cleveland; The Cleveland Botanical Garden; Case Western Reserve University’s School of Medicine Center for Health Promotion Research, Flora Stone Mather Center for Women, and Flora Stone Mather School of Nursing; LGBT Community Center of Greater Cleveland; local public school faculty and parent/teacher meetings in Willoughby Hills and Richmond Heights; and various area health and wellness fairs and private groups. Contact us to discuss a booking. ©2017 Merry Desk, L.L.C. All Rights Reserved.